From a new file system to powerful graphics improvements, to how to perform an installation, here’s all you need to know about Apple’s new desktop OS. The next version of Apple’s operating system for the Mac is called macOS High Sierra. 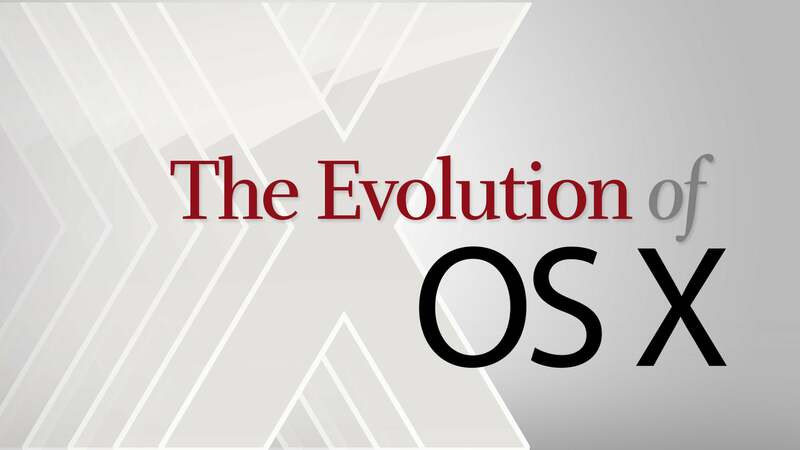 While the OS is mostly about software refinements, it also lays the foundation for future innovations in the worlds of VR (virtual reality) and AR (augmented reality). You can learn more by taking a look at our favorite High Sierra features listed below. That’s followed by an FAQ, where you can get details on High Sierra’s release date, system requirements, installation instructions, and more. Here's our full review of macOS High Sierra. High Sierra is mostly an under-the-hood upgrade that sets the Mac up for the future. There are cool features in Photos and Notes, and Safari 11 has controls for autoplay videos. Read our review to learn more. 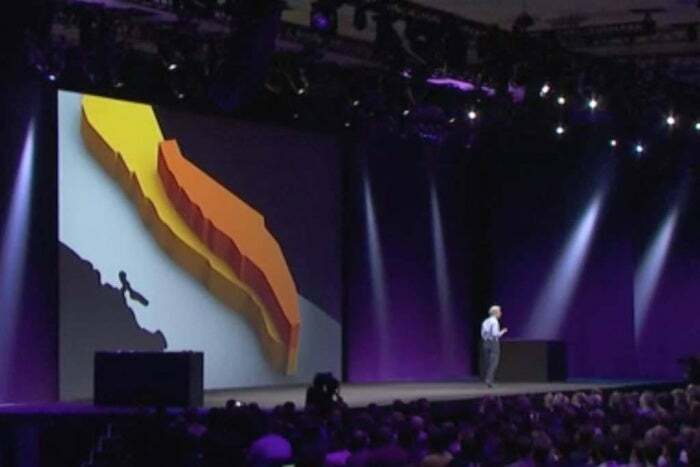 Ever since System 8, the Mac has used the HFS+ file system to keep our documents and directories running smoothly, but at last year’s WWDC, a new Apple File System (APFS) was announced. It made it into iOS with the iOS 10.3 update, and with High Sierra it’s also coming to the Mac. But where the changes to iOS are largely behind the scenes, you’ll really get it see it in action in the new macOS. One of the main tenets of High Sierra, APFS will be new the new default file system, bringing an advanced 64-bit architecture and a responsive design to cut down on the time it takes to do common tasks. Apple VP Craig Federighi quickly demoed how fast files are copied, and it should save quite a bit of time, even on older Macs. APFS also brings some heavy-duty security, including built‑in encryption, crash‑safe protections, and simplified data backup on the go. APFS works with SSDs, and when you upgrade to High Sierra, the SSD will automatically be converted from HFS+ to APFS. APFS does not work with Fusion Drives and hard drives, so those storage devices will continue to use HFS+. A recent AppleInsider report states that some games have problems running on APFS. Unity recommends that developers working on games based on the Unity Engine (such as Cities: Skylines) should not upgrade to High Sierra or upgrade to Unity 5.5. AppleInsider also states that other games that have problems since the APFS upgrade include Civilization V, Counter-Strike: Global Offensive, Half-Life 2, and Team Fortress 2. Learn more about APFS in our APFS FAQ. Photos is rapidly becoming one of the most used apps on our Macs, and in High Sierra it looks we’ll be spending even more time with it. A slew of new features await us in the new OS, including better organization, looped Live Photos, and new Memories categories. It’ll also be easier to identify who’s in your photos with more accurate People identification and cross-device syncing for albums. The new Photos app in High Sierra features new pro-level editing tools. But the coolest feature may be a set of new built-in editing tools. Photos already lets us make some awesome adjustments to our snapshots, but High Sierra seriously ups the game with powerful pro-level tools—like a curves palette for fine-tuning color and contrast, a selective color dropper to home in a specific hue, and new filters that will make your photos fit for an art gallery. And for all your gallery- and album-worthy photos, Apple has now partnered with third-party apps to give you more publishing and printing options. But we’re more interested in two new features that address what it’s like to use the Internet in 2017. The first will eliminate one of the more annoying features of the modern web: autoplay videos. Where Safari in Sierra tells you which tab is playing audio, in High Sierra, it will shut the video down before it can start. Autoplay blocking will detect which sites are delivering unwanted videos, and then press the pause button for you. See how it works. Along with our ears, the new Safari will also protect our privacy. A new system of intelligent tracking will use machine learning to identify prying advertising trackers that track your online behavior and remove the cross-site tracking data they leave behind. That means you won’t get hit up with three dozen vacuum ads the next time you buy one on Amazon. Safari 11 also has the option to let you view sites in Reader mode all the time. Here’s a look at the always-on Reader mode. We watch a lot of video on our Macs, and High Sierra is making the experience even better. In addition to supporting 4K where available, it’s also upgrading to the new industry standard, High Efficiency Video Coding (or H.265 for short). The new system compresses video up to 40 percent more the H.264, the current video standard. Under the new codec, videos will stream smoother and take up less space, both of which will make experience much more pleasant. And if you’re a video creator, the new standard will also be built into Pro Tools so your projects will be able to take full advantage of it right from the start. When Metal was introduced in El Capitan, it brought a slew of under-the-hood changes to make games and graphics sing, and now it’s ready to deliver the next generation, appropriately called Metal 2. The new technology will open up games to a whole new world of power, with a new API and powerful tools for developers. Metal 2 will bring 10 times the draw call throughput that Metal delivered, enabling graphics that are far more robust while adding external GPU support for hard-core gamers. Metal 2 will let developers create even more powerful games and apps. But Metal 2 also brings support for something sorely missing from today’s Macs: virtual reality. High Sierra lets developers create interactive and immersive virtual reality experience on the Mac for the very first time that will work with the HTC Vive and Unreal Engine for VR. And to show how serious it is about VR, Apple is even offering developers an external graphics dev kit to get started, featuring a Thunderbolt 3 enclosure with an AMD Radeon RX 580 GPU. You know, until the iMac Pro arrives in December. You can learn more about Metal 2 by watching these Apple videos from the Worldwide Developers Conference. These presentations are targeted at developers. Apple announced at WWDC 2017 that the company will start to phase out support for 32-bit software in macOS. In January 2018, new apps submitted by developers to the App Store must be 64-bit apps. Also, all apps and app updates must be 64-bit by June 2018. Eventually, 32-bit support will no longer exist in macOS, probably in a version after High Sierra. That’s important for developers to note, but it’s also important for users. If you have old software you like to use and never update, it’s possible they are 32-bit apps and they won’t work in a future version of macOS. Now’s the time to update those apps and get used to them, or find alternatives. With the macOS 10.3.4 update, Apple has implemented alerts that let you know if an app that you are opening is a 32-bit app. The alerts have a Learn More link that takes the user to a KnowledgeBase article explaining the 32- to 64-bit transition. Learn more about the 32-bit alerts. If you're using Apple's Final Cut Studio and Logic Studio, Apple is sending notifications to registered user regarding compatibility issues with High Sierra. According to MacRumors, Apple is informing those users that Final Cut Studio and Logic Studio are 32-bit apps that "will not launch on a computer running macOS High Sierra." Users running these two apps will need to upgrade to Final Cut Pro X an Logic Pro X. If you use Microsoft Office with the macOS High Sierra beta, take note. Microsoft announced that Word, Excel, PowerPoint, and other Office apps may have problems with the High Sierra beta; Office 2016 should run, but users may encounter crashes. Office 2011 will not work. Office will have full support of the final version of High Sierra, as Microsoft has clarified in a support document. 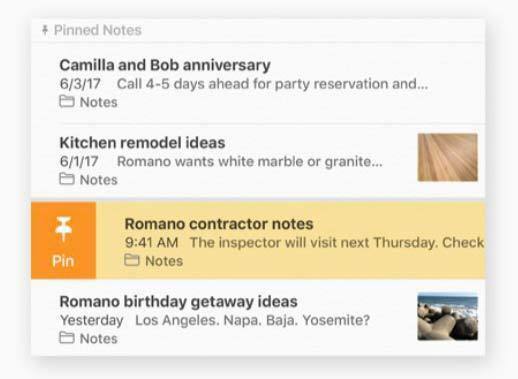 Pinned note in macOS High Sierra’s Notes app. Since High Sierra is a maintenance release, there will be lots of little improvements all over your desktop that you might not even notice at first. In Notes, you can better organize your information by using a formatted table. Got note you need to access frequently and quickly? Now you can pin it. Siri has a more natural voice that sounds more like a person rather than a machine. Spotlight will provide flight information, and can show multiple Wikipedia results when there’s more than one answer to your question. Get a sneak peek at the new emoji coming to macOS. In Mail, Search will now use Spotlight to quickly identify top hits, and you’ll be able to split your inbox and your compose window when in full-screen view. Also, Mail has been optimized so it uses less space on your storage device. When you’re in a FaceTime call, you’ll be able to easily turn a special moment into a Live Photo so you can remember it forever. There are a bunch of improvements that IT professionals will appreciate, too. Apple VP Craig Federighi introduces macOS High Sierra to the crowd at the WWDC keynote. If you’re into version numbers, then you’ll be happy to know that this one is version 10.13. When was macOS High Sierra released? September 25, 2017. How much does macOS High Sierra cost? Apple makes its operating systems free, so macOS High Sierra is a free upgrade for users who have macOS Sierra installed. From what operating systems can I upgrade to macOS High Sierra? If you have macOS Sierra (the current macOS version), you can upgrade straight to High Sierra without doing any other software installations. If you are running Lion (version 10.7.5), Mountain Lion, Mavericks, Yosemite, or El Capitan, you can upgrade directly from one of those versions to Sierra. Chances are this will still be the case with High Sierra. How do I get macOS High Sierra? Apple will make the High Sierra upgrade available in the Mac App Store. Can I try the macOS High Sierra beta? If you are a developer, you can get a beta of macOS Sierra through the Apple Developer Program. The developer beta is available now. Apple also has a beta available to the general public, which is now available. Public betas are released on a regular cycle and the betas are free, but come with the caveat that the software isn’t as stable as it would be at release—meaning it could cause problems on your Mac. However, if you do decide to try the beta, you can provide Apple with valuable feedback. The public beta is not the same versions as the developer beta; it’s a few cycles behind. Learn more about the macOS High Sierra Public Beta, or you can go ahead and sign up for the public beta program online here. You need to make a Time Machine backup before you install the beta in case you need to restore your system. If you try out the beta and decide later that you don’t want to use it anymore and want to go back to macOS Sierra, Apple has instructions on How to unenroll from the public beta and how to restore your system. You can continue to participate in the beta program after the High Sierra golden master has been released. You'll get beta versions of the High Sierra updates. 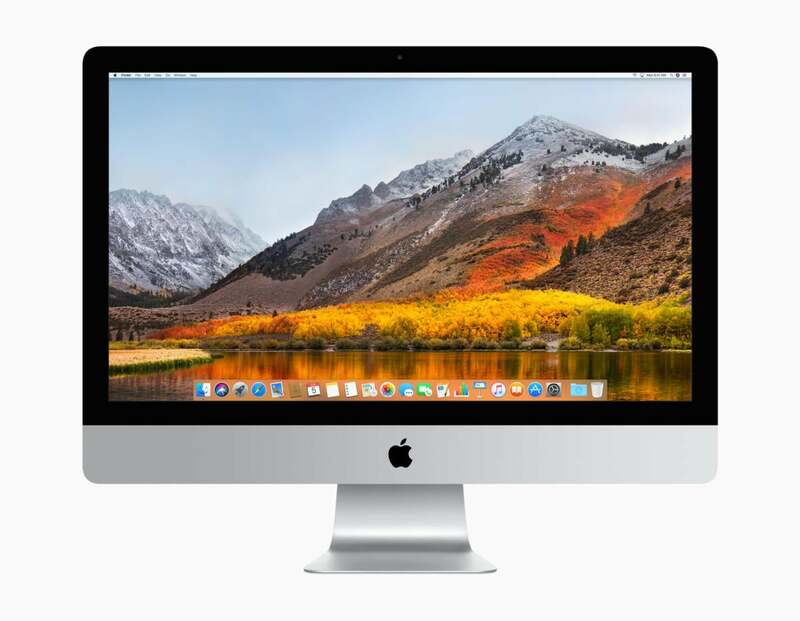 What Macs are compatible with macOS High Sierra? Should I upgrade to macOS Sierra? Whether you upgrade to High Sierra or not is up to you. First, you need to check to see if your Mac is compatible. Then, you also need to make sure the software you use most often will work. As High Sierra’s ship date approaches, developers may release updates to insure compatibility. If you have software you didn’t get in the Mac App Store, launch the app and look in the preferences or other menus for an option to check for updates. You can also look on the developer’s website. Make a backup of your Mac before you install High Sierra. You might even save your important documents separately from your primary backup, just in case. If you install High Sierra and encounter problems, you can revert back using the backup. How do I install macOS High Sierra? After you download High Sierra from the App Store, there are several ways to run the installation. Go to the High Sierra product page in the Mac App Store. The Download button will be replaced by an Open button. Click on it to start the installation. In the Mac App Store app, click on the Purchased tab. You should see the macOS High Sierra installer in the list of purchased apps. Click on the Install button. Go to your Applications folder and look for a app called “Install macOS High Sierra” and double-click on it.